Our client wanted to increase awareness of the event and achieve an increase of attendance from ticket sales. The client would supply the largest number of caravans, camper trailers, motorhomes & campers & accessories for the event of which comprised the very best and most well-known brands in today’s market, marking this event the biggest and best the Gold Coast has received. 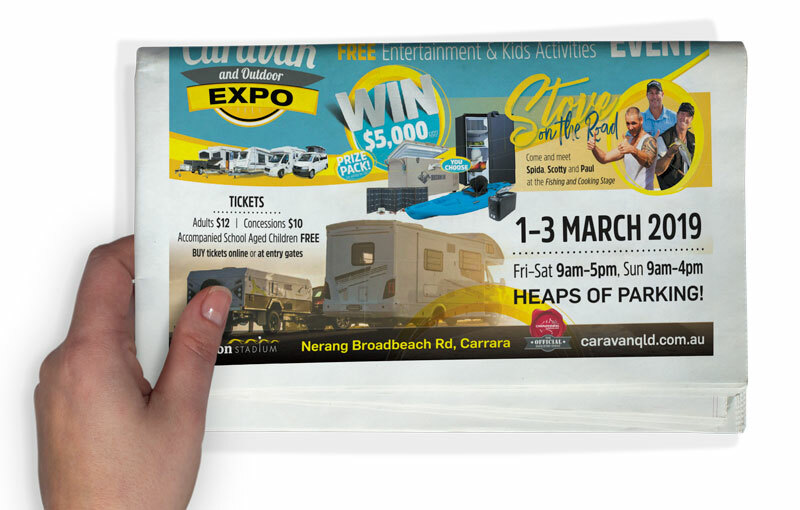 This Caravan & Outdoor Expo is actually an official caravanning event managed by Caravanning Queensland for the CTIAQ. Which sees funds from the official events returned to its members rather than like some other outdoor events where the monies stay with the event promoter. This was a return to the Metricon Stadium site in 2019 from 2017. During 2018, the site was used for the Commonwealth Games and unavailable for our timeline. Traditional media was engaged, television, radio, press as well as digital media being executed across mainstream social media platforms to potentially achieve the desired result of an increase to ticket sales and attendance. Television commercial airing over multiple channels, specifically scheduled to target the right audience. AMPHTML display ads were used to retarget potential showgoers and direct them to purchase tickets online. Newspaper advertisements were booked in over ten different publications to target the relevant geographical areas. 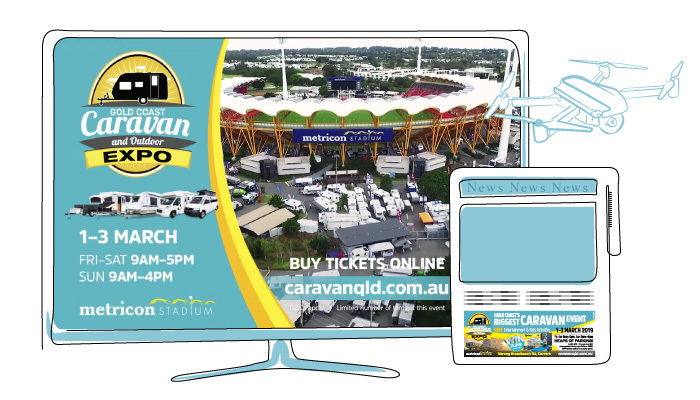 The 2019 Gold Coast Caravan and Outdoor Expo exceeded all KPIs on reach and content. This was directly reflected in show attendance with record ticket sales!